Mu Alpha Theta hosted local Catholic Middle Schools with their annual Math Competition. Students competed in number sense, math competitions, and calculator competitions. The day was finalized with an engineering competition. After advancing all four teams at qualifying tournaments last month, St. Dominic Savio’s “Iron Eagles” Robotics Program competed in the FIRST Tech Challenge (FTC) Alamo Regional Tournament on Saturday, Feb. 21, at the headquarters of Rackspace in San Antonio. The FTC Alamo Regional Tournament is the largest in the country, bringing the top 78 teams from Central/South Texas to San Antonio to compete for just 13 spots at the next level! After a long day of competing against some of the best teams in the country, two Iron Eagles teams – “Optimus” and “Guardian” – successfully advanced to the FTC South Super-Regional Tournament, one of only four Super-Regional tournaments in the country. With this performance, the Iron Eagles are the only robotics program in Texas to send two or more teams to the Super-Regional in consecutive years! In the Kane Division, veteran team Optimus and rookie team Guardian got off to a fast start – at one point being ranked #1 and #3. In FIRST tournaments, the top four ranked teams at the end of qualifying rounds select two other teams to compete with them in the best-of-three elimination rounds, so both teams were poised to be captains of one of those alliances. Unfortunately, close losses in their final matches denied both teams the opportunity to stay in the top four – but their fortunes soon turned when both Optimus and Guardian were chosen to join the top-ranked team in their division in the elimination rounds! Team Guardian opened with an incredibly strong performance, once again executing their autonomous program to perfection and then following with strong play during the two-minute tele-operated phase of the game. Unfortunately, their team captain suffered significant problems during the match, leaving Guardian to score all the points for their alliance – and although they performed admirably, Guardian’s robot couldn’t score quite enough points to overcome the two-on-one matchup. In the following elimination match, their alliance captain decided to sit out the match and let both Iron Eagles teams play – but a strong move by their opponent in the final moments of the match knocked both teams out in their division semifinals. In the opposing Naylor division, rookie team Silverbolt faced one of the toughest draws in the tournament. They fought to a 2-2 record in their opening matches, all the while struggling with an electrical problem that had been causing them problems for weeks. Finally, their frantic troubleshooting led them to discover the root cause of the problem – but only minutes before their 5th match, which they also lost. With some fast work, they finally eliminated their gremlin – only to fall in their final match against the top-ranked team in their division, the eventual tournament champions Viperbots QuadX. Team Prime competed well all day long, but a slight mechanical failure at the end of one of their matches led to a close loss, and they finished in 8th place in their division. They were selected with the 8th and final pick during alliance selection, but despite some fine play, their 4th-ranked alliance was quickly overwhelmed by the strong #1 alliance. Without being on one of the two division-winning alliances, the only way that any of the Iron Eagles teams could now advance was by winning one of the major design or team awards. Fortunately, for the second tournament in a row, Team Guardian was presented with the prestigious Rockwell-Collins Innovate Award, recognizing the most technologically-innovative robot of the tournament, and Team Optimus won the Control Award for the first time this season – allowing both teams to advance. Their sister team Prime almost joined them with a close second place finish in the Connect Award, but they fell just short in their quest to reach the World Championship for a third consecutive year. The entire Iron Eagles program is proud to continue to represent Savio at the FTC South Super-Regional Tournament, which will be held on March 11-13 at the Convention Center in downtown San Antonio. This tournament brings the top teams from 12 states in the Southern USA – from Texas to Florida – to compete for a few coveted spots at the FIRST World Championship in St. Louis! Congratulations to all of the Iron Eagles on their incredible season, and good luck at Super-Regionals! Savio welcomed Mr. Mike McCoy to our campus today as a guest speaker. Mike McCoy is president of Mike McCoy Ministries, an outreach program for youth. Mike's inspirational/motivational talks are directed primarily to students in Catholic schools (Faith, Family, Friends). He is a University of Notre Dame graduate, was a consensus All-American football player for the Irish, and played in the NFL. He works with the Notre Dame Play Like A Champion program among other notable charitable organizations. Congratulations to all our state qualifiers! Savio will be on a 2 hour delay on Tuesday, Feb 24. Bus routes will operate on 2 hour delay as well. Classes will begin at 10:20am. St. Dominic Savio was the only private school present at the Bulldawg Relays in Copperas Cove this weekend. The competition was comprised of 26 5A & 6A public high schools from across the state and one 4A Catholic High School from North Austin (Go Eagles!). The ten athletes who were available to attend this meet (most of the track team is still involved in playoffs for winter sports) acquitted themselves admirably amidst this large and competitive field!! Joseph Prybyla blasted through his personal best in the 3200m and followed with another PR in the 1600m. Unofficial results: Sadly, the official time-keeping system was not functioning consistently throughout the event, so we are unable to provide exact placement and times for all our competitors. Still, let's just say this.... our athletes were in the mix of every event entered. There were multitudes of entries in each event, and we bested many athletes from much larger organizations. The team can take home a lot of confidence and pride from this event, knowing that they are competitive at any level. It is something of an understatement to say that our kids had a positive and enjoyable experience and that parents in attendance were impressed with the team and excited for their children. Coach Brantley reports, "I am just really excited about the potential of this team! 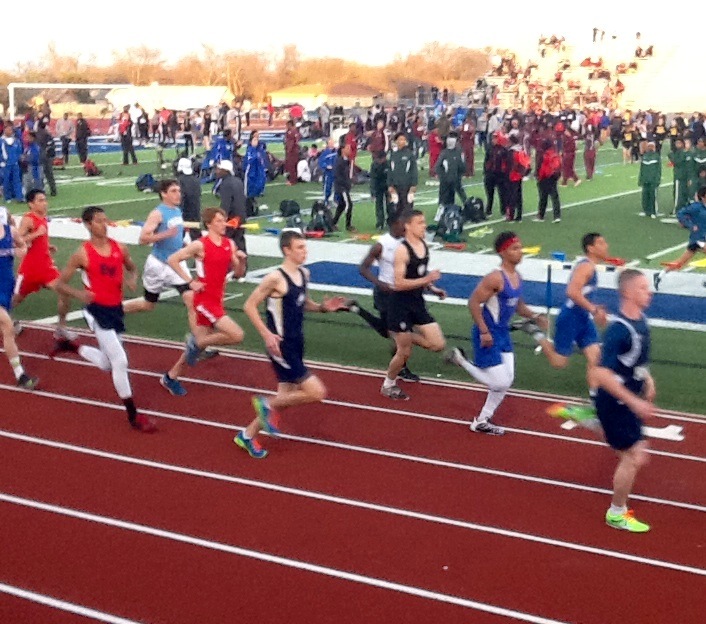 I was very pleased with the way our track team competed this weekend at the Bulldawg Relays in Copperas Cove." This Saturday, Feb 21, seven members of the St. Dominic Savio Latin Club competed at the Area Convention. 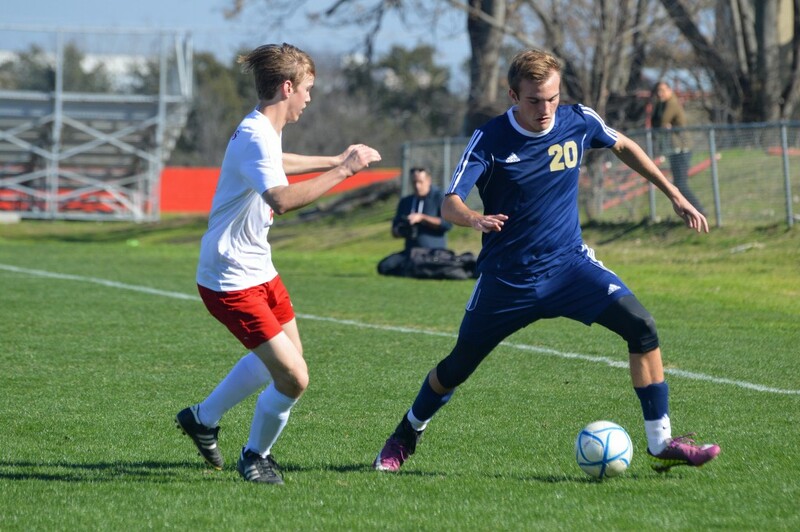 High schools from the entire greater Austin area were represented at this tournament. Kyle Wyborski (2017) won 3rd place for Dramatic Interpretation and Elizabeth Van Gompel (2015) won 3rd place in the Roman Life contest. The team won 4th place overall in our division. It was a great showing for our first time competing! The Savio Quiz Bowl team competed in a regional qualifier for the National History Bowl at Carrollton Christian Academy on Saturday, Feburary 21st. Like at the Science Bowl two weeks ago, the Eagles played with a short-handed roster. But the team of Eleazar Camez, Daniel Jilek and Patrick Lahey had firepower to spare. They cruised thru the preliminary rounds with an undefeated 4-0 record. Their victories over Riverdale Academy, Carrollton Christian Academy and the A & B teams of Allen High School came by an average score of 330-117. As the only team without a loss in the prelims, the Eagles took the #1 seed for the playoff round. Their toughest prelim match was against the Allen B team. Savio faced the Allen B team in the first round of the playoffs, and they again gave the Eagles a good fight, taking a 60-20 lead in the first quarter. Savio closed the gap to 80-60 in the second quarter and seized control in quarter three, the lightning round. Savio put up 90 points to only 20 from Allen B to make the score 150-100 going into the fourth quarter. Savio prevailed 180-150 to advance to the tournament final. Their final opponent was Selwyn College Prep. Selwyn never seriously challenged as the Eagles led from start to finish, taking the title match by a score of 300-100. This victory qualifies the Savio team for the National History Bowl championship tournament, which will be held in Washington, DC on the weekend of April 25th & 26th. The Savio team will face qualifiers from 96 other regional tournaments. Last year's event drew 132 teams, and this year's tournament is expected to exceed that. The Carrollton event also served as a qualifier for several individual competitions as well. 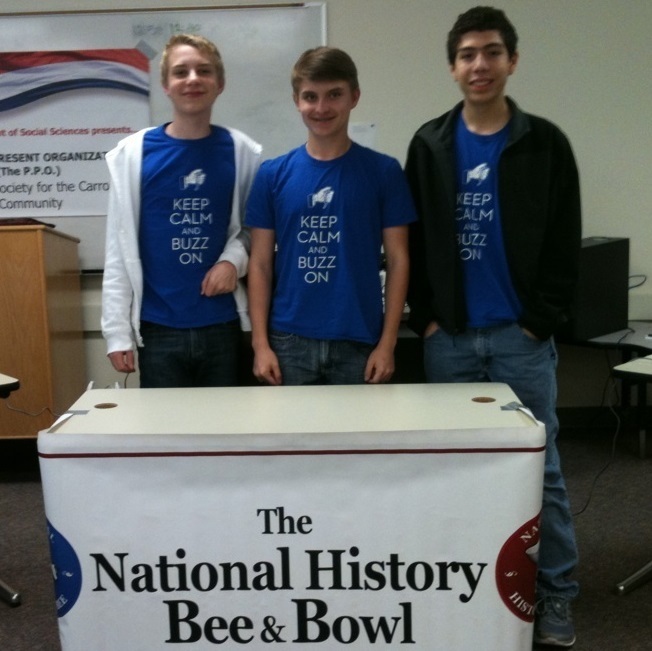 Patrick Lahey took first place in the Varsity division of the National History Bee qualifier. Eleazar Camez and Daniel Jilek were the final two competitors in the JV division. Eleazar managed to beat Daniel to win the JV division. All three of these players are qualified for the national bee events at the same site in DC in April. There were also individual written tests at the event. Patrick Lahey took second place in the Varsity division of the US Geography Olympiad, and Daniel took first place in the JV division. Lastly, Eleazar took first place in the written exam for the US History Bee. All three Eagles will continue in April in these events as well. 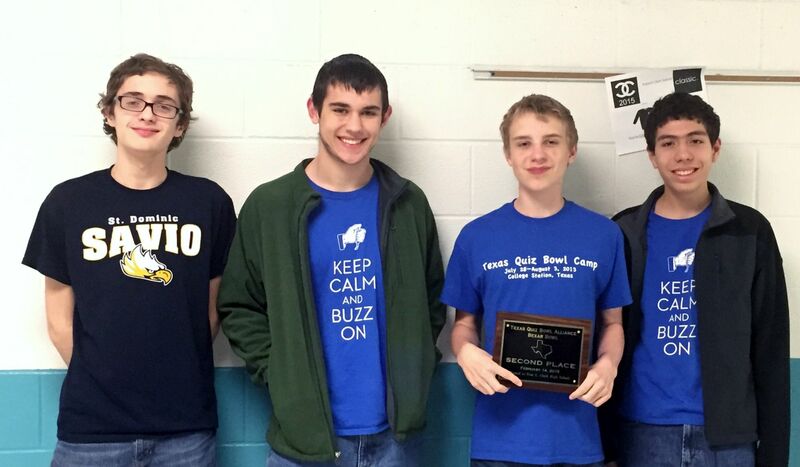 It was truly a big day in the DFW area for the Savio Quiz Bowlers! The Savio Academic Team had a very successful day at the Bracken Christian School Academic Meet this Saturday. Our four competitors turned heads as they dominated the math and science events. The team is now preparing for the TAPPS State Competition starting with the school competition on Monday, February 23rd after school. Congratulations to the Savio Girls basketball team who handily defeated Sugarland Fort Bend Christian Saturday to advance to the Area Playoff game. The Lady Eagles protected their nest with a 50-33 win after Fort Bend Christian scored 17 points in the first quarter, putting Savio on a defensive display only allowing 2 points in the 2nd quarter and and 14 points in the second half. This defensive push allowed the Lady Eagles to advance to the Area Round where they will face Westbury Christian from Houston in New Braunfels at 5:30pm on Friday, February 27, while the boys will play at 8:30pm in San Antonio. Savio Senior Sabrina Uriegas opened the meet by blowing the roof off with a stirring rendition of the National anthem. Savio went on to break 6 team records ( 3 individual and 3 relay) , 70% of the swims were time improvements, and there were 3 second place finishes, Alec Hudson in the 100 Breast and Natalie Reysa in the 50 and 100 free. The girls finished in a tie for 8th and the boys finished 9th. 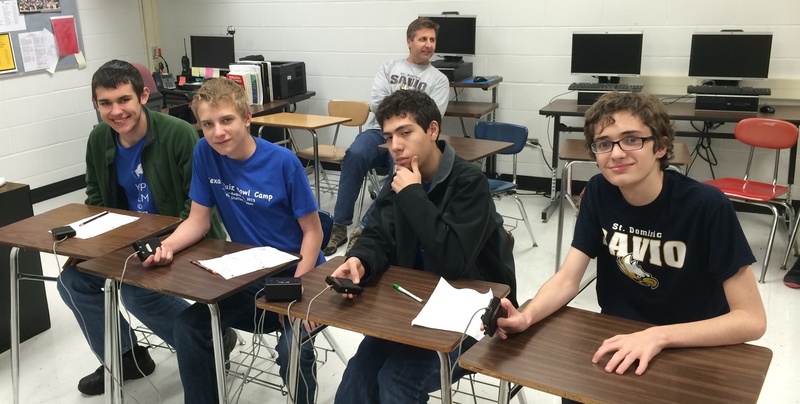 Tom Clark High School in San Antonio hosted the Bexar Bowl Quiz Bowl tournament on Saturday, February 14th. The Savio team went into the tournament without its captain or any of its top three science players. This was akin to a football team playing without its starting quarterback and three wide receivers. The all-sophomore team of Eleazar Camez, Jack Frey, Nick Isakson and Daniel Jilek entered the tournament determined to succeed in spite of this adversity. At 27 teams this was the biggest Quiz Bowl tournament ever played in San Antonio. Officials divided the teams into upper and lower divisions, with the Eagles falling into the lower division. The team managed to post a 4-2 record in the prelims. Their only losses were to lower division #1 seed McAllen Lamar by a score of 295-265 and to lower division #3 seed John Jay High School by a score of 345-145. Had the day ended at this point the Eagles would have considered it a successful tournament. But they were far from done. They entered the playoff with the #5 seed in the lower division. In the first round of the playoffs the Eagles eliminated the #12 seed Reagan D fairly routinely by a score of 290-135. In the second round they faced #4 seed Brandeis B. Savio won this match in convincing fashion by a score of 390-130. Next up was the lower division semi-finals against #1 seed McAllen Lamar. The Eagles avenged their preliminary round loss, eliminating Lamar by the score of 315-125. The lower division championship match brought the Eagles a chance at redemption for the preliminary round loss to John Jay High School. The players from Jay were rather surprised to see that Savio had defeated the #1 seed. But the Eagle team proved that their semi-final victory was no fluke. It was a low-scoring game throughout, with the Eagles holding a modest lead. Savio managed to pull away a bit at the end, winning by a score of 195-85. The reward for winning the lower division was a head-to-head match against the upper division winner from LASA. Few who sat in the room expected the Eagles to have a chance in the tournament final against nationally ranked LASA. The Eagles trailed early, allowing LASA to jump out to a 100 to -5 lead in the first three tossups. But Savio countered with a flurry of their own, making the score 90 to 75 after seven tossups. LASA scored again on tossup number eight, but the Eagles came back by taking the points on tossups nine and ten. way thru tossup number fifteen, with the score at 230-170 in favor of LASA. But LASA took command in the final five tossups, claiming victory by a score of 365-190. The Eagles ended the day in second place overall. This high finish qualified the Eagles for the High School National Championship Tournament in Chicago in May. Daniel Jilek led the way for the Savio team with 71.36 points per game (30 powers and 11 NEG5's). Daniel was also the fifth highest scorer in the whole tournament. The final regular season tournament of the year will be on March 21st at San Antonio's Earl Warren High School. The Texas State Championship tournament will be April 11th at Seven Lakes High School in Katy. "Final score was 5-1. The score at halftime was 3-0. The first two goals were headed in by Josh Noth. The first came from a great cross from Calvin Nazareth. The second came off a corner kick from Justin Dsouza. The 3rd goal was scored by Chris Reeves and assisted by Ryan Christiansen." "The team came out very aggressive to start the 2nd half and within 14 minutes we had scored on a fantastic passing sequence. Josh Noth drove down the left side and whipped a cross in that Cian McGetrick met with his left foot and fired a first time volley into the back of the net. Tyler all saints started to show a little frustration and began playing very physical, and were able to pull one back on a corner kick to make the score 4-1. Our boys settled back down and regained their composure along with the majority of the possession, and they were rewarded by Josh Noth's 2nd assist of the day to Chris Reeves who knocked it in the back of the net for his 2nd goal of the day." "Great team effort was made and I'm very proud of all the boys. We were very solid all around today and also had great performances by both Gonsalvez brothers, Santiago Sustaeta, Michael Holmes, Nick Mun, Jose-Miguel Guevara, Collin Kerr in goal, and we were glad to welcome back Preston Noonan." Congratulations to our Savio Eagle boys basketball program as it completed the greatest seasonal performance by an athletic program in school history...winning district titles at all levels--FRESHMEN (18-1), JUNIOR-VARSITY (17-4) and VARSITY (22-9). The Eagles completed this task last night by way of three big victories at Regents school on their "Senior Nite" celebration. The Varsity held on in a tough battle 54-51 to advance to the Area round of the state TAPPS AAAA playoffs. The first playoff game will not be until Friday, Feb. 27th but the Eagles are scheduled to play two "warm-up" games against other district winners in the state over the next two weeks. On Monday, February 9th, St. Dominic Savio senior football player Josh MacKay signed a football letter of intent to Benedictine College in Kansas. The 6'2-220 pound Eagle linebacker is the first Savio football player to accept an actual football scholarship offered by a college or university. He certainly won't be the last as far as head football coach Joe Gutilla is concerned. "I believe we have started something very special in this football program. Josh is just the first. I call this group of seniors the builders. They have laid the foundation for us to build upon, and I am confident we will eventually have an outstanding football program, and a number of young men who have the ability to play at the next level." MacKay played four of years of varsity football for Savio. As a senior he was one of three team captains, and was a two-way starter. Coach Gutilla pointed out that "Josh rarely came off the field." Josh led the defense in tackles (67), recorded 2 sacks, had 1 interception, caused 2 fumbles, and recovered 3 fumbles. Josh also was the starting right guard on offense in helping to lead senior Sam Alvarado to the school rushing record. Josh will be attending Benedictine College in Atchison, Kansas. The Ravens are a member of the Heart of America Athletic Conference (HAAC), a perennial contender for the HAAC championship, and a frequent member of the NAIA top 25. Lady Eagles pulled out another gut wrenching win at Regents, 46-45! Maddie Miksch is credited with knocking down the game winning free throw. After a rocky start to the season, the Lady Eagles have risen to the occasion and have locked up a Co-District Championship, a first for the program. The Lady Eagles will advance to the playoffs, with more details to be determined throughout the weekend. A tip of the hat to our Freshmen Eagle boys for their huge victory last night against the Regents 9th to cap off Savio's first official 9th grade team's resounding district championship and their amazing 18-1 season! Congratulations to Coach Wheeler and her great leadership in her first season with the Savio basketball program...a tremendous achievement at any level of high school play. Scoring started within the first few minutes. Goals were scored by, Josh Noth with 3, Cian McGetrick with 1 and Nick Mun with 1. Defense led by Calvin Nazareth and Ryan Christiansen and Michael Holmes kept the game scoreless. Collin Kerr as goalie was also a key defensive player. 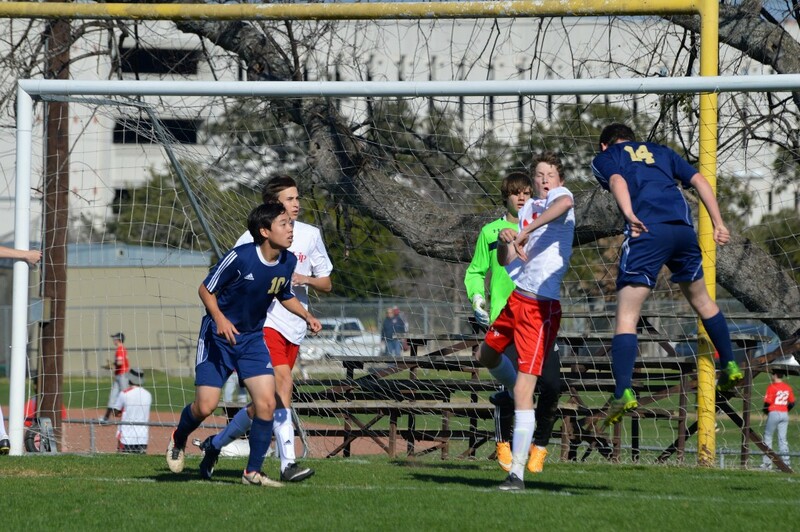 Savio jumped out to a quick lead with a goal from Justin Dsouza, quickly followed by a header goal from Josh Noth. Nick Mun continued the scoring drive, with Santi Sustatea scoring on a Penalty Kick in the second half. Cian McGetrick and Pablo Cuevas finishing the scoring drive late in the second half. Defense again was amazing with Calvin Nazareth, Ryan Christiansen, Michael Holmes, Chad Gonsalvez and Kyle Gonsalvez continually keeping the ball play forward. Collin Kerr turned in a solid performance as goalie. With a 6-2-0 record the boys team ties for 1st place in district and advances to playoffs against Tyler All Saints Episcopal Soccer Playoff Games. Both boys and girls soccer teams advance to playoffs. Both games will be Saturday, February 14th at 2:30pm at Town &Country. Come out and support our teams on what promises to be a beautiful day! 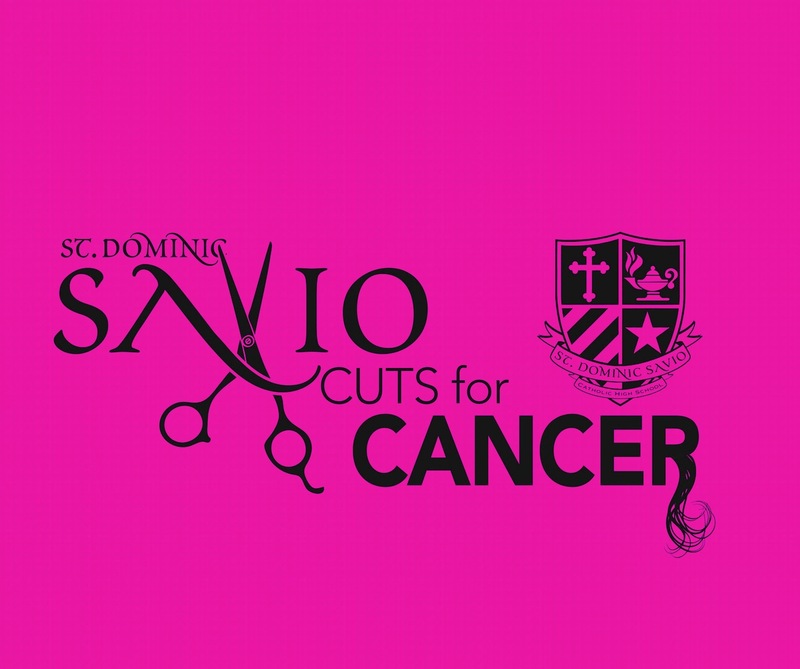 This Friday, February 13th, St. Dominic Savio Catholic High School will be hosting it's second annual Cuts for Cancer event. As cancer has impacted so many, including some of it's own members, the St. Dominic Savio Cheerleading team worked to put together this event that encourages women to donate their hair through Pantene Beautiful Lengths. This year many more students both male and female have done their part to be involved and contribute to this event. The hope is to get more hair donations and encourage as many as possible to get involved in the fight against cancer. Congratulations and good job recognition goes to Savio seniors Joaquin Batista and Sabrina Uriegas, along with juniors Felipe Quijano-Ortiz, Stephanie Kamau and Sam Forbes for making Academic All State as an athlete. You must be a junior or senior and have a 3.5 or higher GPA to qualify. We have two with over 4.0! 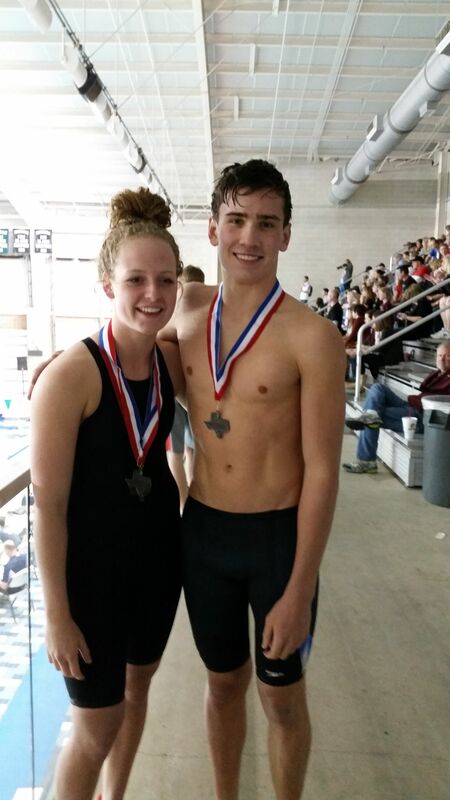 The swim team will be heading to the State Meet this Friday in San Antonio at the Josh Davis Natatorium. The Savio Varsity and JV Tennis teams started their season with a wide victory against St. Michael's in their first dual match. Savio won 14 out of the 18 matches played against strong competition from St. Michael's. The Savio Eagles continued their march to an undefeated district championship as they pummeled the Crusaders from St. Michael's 54-37 in last night's contest. The victory was the 21st of the season, one game away from tying the school record of 22 Ws' as a AAA school in 2012. The Eagles started fast and did a masterful job of neutralizing St. Michael's and the district's leading scorer. Great performances off the bench on Senior Nite complemented a great start by Savio's starters. Savio travels to Regents in the hope of wrapping up an undefeated season in its 3rd year at the AAAA level. Further details will be forthcoming regarding any warm-up games and our first post-season date. The Eagle JV fell in a close one last night to leave them in a tie for 1st place in the district. 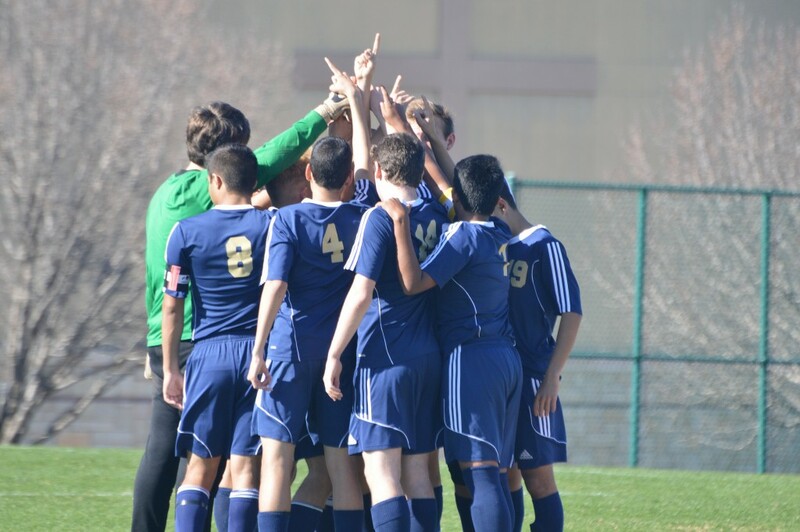 Their final game at Regents will determine the district champion or co-champions. Last night was a great win for the Savio Lady Eagles! The Lady Eagles bested the St. Michael's Lady Crusaders 51-45 on our PINK OUT night to benefit breast cancer awareness! This win was due in large part to a team effort to leave everything on the court and ties the Eagles and Crusaders atop the district standings with one game left to play. The Lady Eagles play at Regents on Thursday at 8p for their final district match-up. We are overjoyed to announce that one of our seniors who will graduate in May, Caroline Smith, has been accepted for entrance to the postulancy (the first stage of formation), of the Dominican Sisters of Mary, Mother of the Eucharist, in Ann Arbor, Michigan. The Dominican Sisters of Mary, who have teaching missions throughout the United States, have been serving in the Diocese of Austin since 2009, and are in the process of establishing a permanent presence here, as they seek to build a large priory in Georgetown. The Sisters have been teaching at Savio since the school opened in 2009, Caroline will join two 2014 Savio graduates, Sr. Robyn Aanstoos and Sr. Ava Lynk, who are currently postulants with the Dominican Sisters of Mary. Click here to learn more about formation as a Dominican Sister of Mary. Caroline will certainly remain in our prayers as she continues to seek God’s will for her life – and we know that she will be praying for Savio, too! Dominican Sisters of Mary have been a part of Savio since it opened, and we are so happy that we can now count some of our Savio graduates among the Dominican Sisters of Mary! On Saturday February 7th the Savio Quiz Bowl team competed in a regional Science Bowl tournament at Texas A&M University. The event was a qualifying tournament for the National Science Bowl competition, which will be held in Washington DC in April. There were a total of 32 teams from the region at the event, with the first place team winning an all expense paid trip to the Washington DC Final. In the competition teams answered questions from several topics, including: biology, chemistry, physics, math, earth science, astronomy, and energy. As the questions were read aloud the teams were required to buzz in with their answers, like in a normal Quiz Bowl tournament. A successful answer earned the team four points and a chance to answer a ten point bonus question. Senior Grace Isakson captained the Savio team, along with sophomores Matthew Bianchi and Nick Isakson. 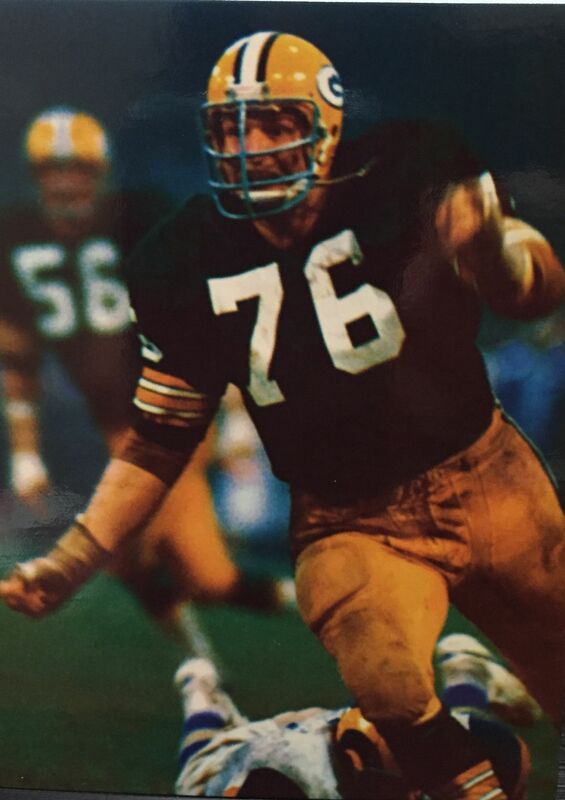 The Eagles played at a numerical disadvantage all day, as the other teams all had full four-player rosters. But the Savio team battled hard nonetheless. They survived until the third round of the playoffs, ending the day tied for 17th place. The Eagles faced last year's champion from Dulles High School in Sugar Land during the playoffs. Dulles had a good day, finishing in first place again, and will move on to the national final. 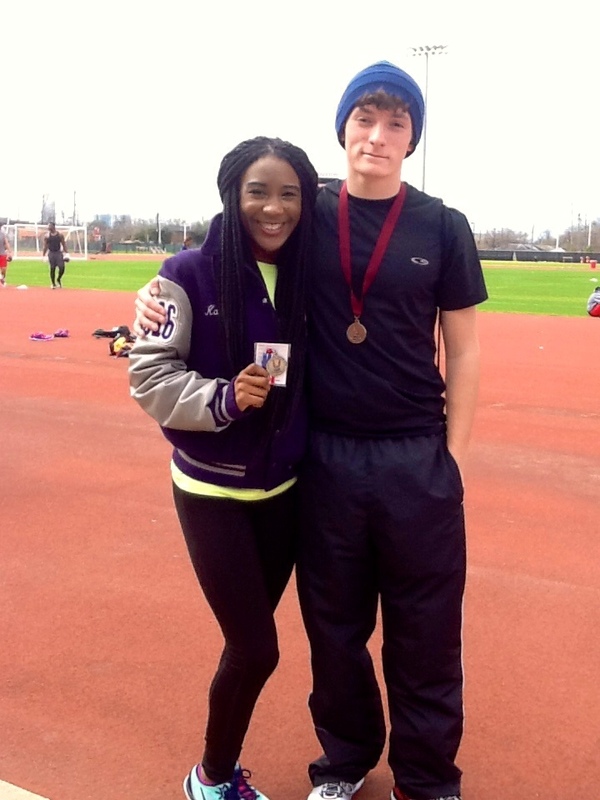 Savio Track athletes Kacie Mayberry and Julian Sparks both took medals in the 800m this Saturday at the USA Track & Field Southwestern Zone Indoor Championships after a winter spent traveling to Indoor meets across Texas and surrounding states. Against a Texas-wide field, Kacie brings home a 2nd place finish, and Julian a 5th, qualifying both runners for the National Meet in Landover, MD next month! The prayers and support of Savio Track fans are greatly appreciated! Please keep them coming, as our athletes prepare for this competition as well as the beginning of Spring Track Season. The Savio boys saw every player score tonight as the Eagles won their 20th game and locked up their 3rd post season trip in 4 yrs and a 3rd spot in area competition. It was a great team effort as Savio won 80-43 against the outgunned Reicher squad. The Eagle JV took another step towards a district crown with a big win as well, running their record to 16-3 in the year. Senior night will be next Tuesday against big rival St Michaels at home! Let's pack the house--there's a "new sheriff in town"!!! The following Savio Track & Field athletes will compete in the USA Track & Field Southwest Zone Championships this Saturday, February 7th. These athletes have been competing on the indoor track circuit this winter and will now travel to The University of Houston for the Zone Championships to compete against an elite field of high school age runners and throwers. Prayers and well-wishes are appreciated in support of our hard working athletes, as they compete in an effort to become some of the top-ranked Track & Field athletes in the State of Texas. St. Dominic Savio’s “Iron Eagles” Robotics Program competed in their final Qualifying Tournament on Saturday, January 31, and successfully advanced all four teams to the Alamo Regional Tournament! Even though our program doubled in size, our primary goal remained – for all of our Iron Eagles teams to advance to the Regional Tournament. On December 6, both “Prime” and “Silverbolt” competed in the first qualifier, and even though Prime advanced to the tournament finals, and Silverbolt advanced to the semifinals and won a team award (the Control Award), neither team earned one of the coveted eight advancement spots. At the second qualifier on January 17, “Optimus” and “Guardian” both put in outstanding performances, with Guardian coming just short of being ranked #1 at the end of qualifying rounds. As our oldest team, Optimus continued their tradition of excellence by advancing to the tournament finals and winning a major design award (the Rockwell-Collins Innovate Award), thus becoming the first Iron Eagles team to punch their ticket to the Regional Tournament. But unfortunately, despite their strong performance, Guardian fell in the semifinals and failed to advance. So last Saturday’s tournament was the first opportunity for all of the Iron Eagles to compete at the same tournament, and the last opportunity for our remaining 3 teams to advance. 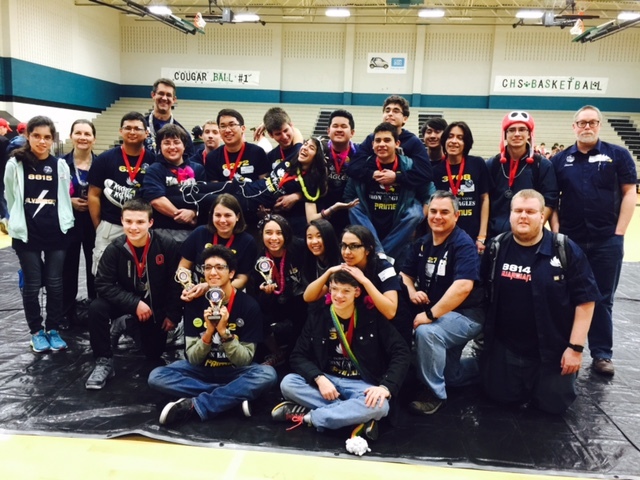 Held at Connally High School, this “double qualifier” was a very large tournament, placing 48 teams from Central Texas into two divisions – Lovelace and Tesla – with only 8 total advancement slots available per division. In the Tesla division, team Optimus continued their winning tradition by finishing as the 3rd seed after qualifying rounds, joining one of the other top seeds in an alliance for the elimination rounds. Team Guardian finished 5th and acted as the captain of one elimination round alliances. For the second straight tournament, Optimus advanced to the finals and Guardian fell in the semifinals, which put their fate in the hands of the award judges. However, both teams ended up winning a major design award, and Guardian became our second team to advance to the Regional Tournament! In the Lovelace division, the competition was very tough; Silverbolt played well and had a chance to earn the number one seed in their final match, but they lost by just two points – to their sister team Prime! But both teams ended up being selected for the elimination rounds, with Silverbolt’s alliance eventually falling in the semifinals and Prime advancing to the finals to earn one of the automatic berths to the Regional Tournament. So like Guardian, Silverbolt had to wait to see if they would advance through one of the awards – and at the end of a long day, they were thrilled to earn the same award that Guardian had just won in their division! Team Prime proved to be no slouch in the awards either, winning the prestigious Think Award and placing second for the top award of the tournament – the Inspire Award. The Iron Eagles are already working hard to improve their robots for the Alamo Regional tournament, which will be held in San Antonio on Feb. 20-21. Thanks to all our team parents, faculty, and staff at Savio for all your support as we fight to bring home the championship! 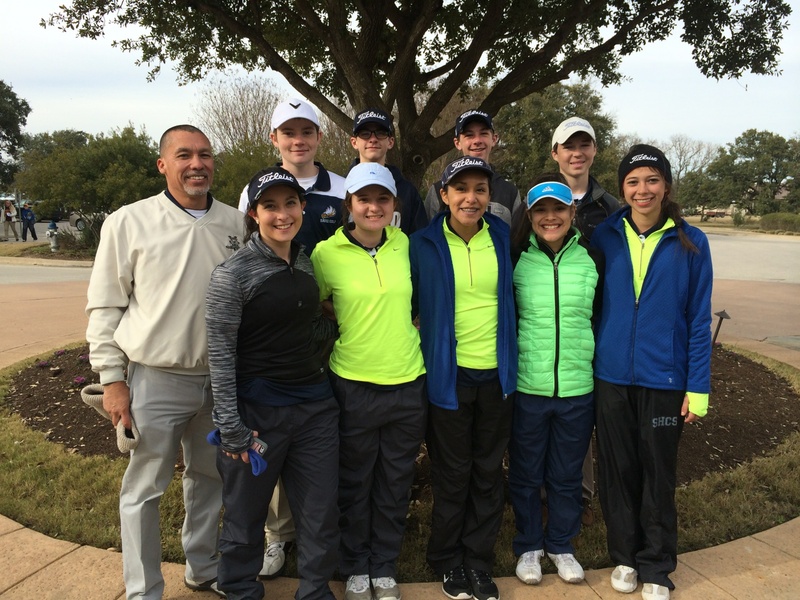 Today, February 2, 2015, our Men and Lady Golf Eagles participated in the 2015 Presidents Cup Invitational Golf Tournament hosted by Pflugerville High School at Cimarron Hills Golf Club in Georgetown. It was another cold blustery day for the Eagles and the rest of the field. The course challenged our golfers with many large trees, bunkers and water hazards. This gave all the golfers everything they could handle. Despite the challenges, our Golf Eagles continued to persevere and negotiate their way around the course. Our Mens team, continues to find its identity. They are working hard to overcome the challenges. Our Ladies team is also working hard to get swings flowing and their shots to be more crisp. Coach Becerra said, "I am very proud of all the golfers. They haven’t mentioned anything about the weather or their feeling 'under the weather'. They just keep swinging away”. The Savio Eagles continued to roll through district 3-AAAA competition as they knocked off the Panthers of Hyde Park in a tough battle, finally pulling away in the final few minutes of the game 66-59. After a slow start against a motivated HP squad, the Eagles came out strong in the 2nd half and overcame a 9-point halftime deficit. The victory left Savio with a 19-9 record, a 5-0 district mark. The Eagle JV made up for their only district loss by overcoming a strong HP squad, eventually victorious and, in the process, regaining a share of the district lead and running their season mark to 14-3. Also, the Savio Freshmen won their head-to-head game against the Panthers, putting them in the driver's seat toward a conference crown. The freshmen now stand 15-1. Savio's Freshmen play Regents at home on Monday night at 7pm. The Varsity and JV will have a bye this Tuesday but will return to the court at Waco Reicher on Thursday, Feb. 5.